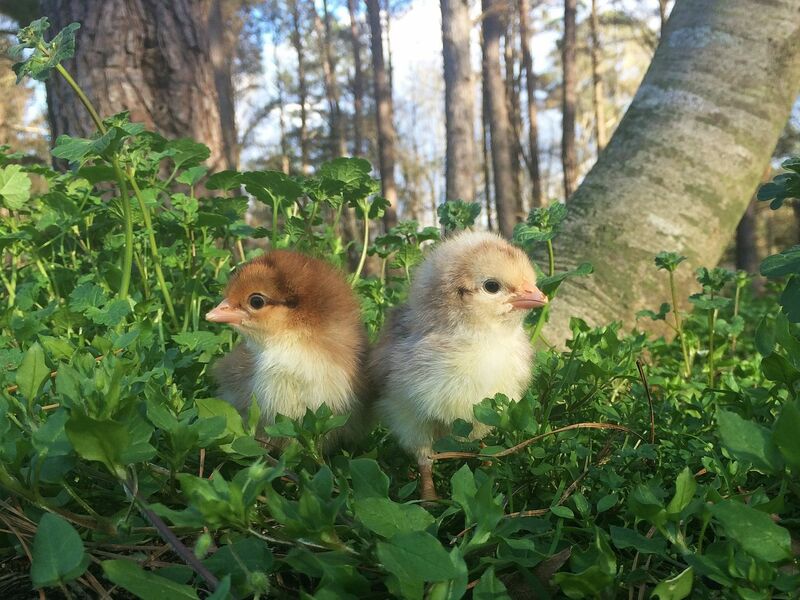 The lucky winner of this auction will receive 18 or more day-old Fifty Five Flowery Hen chicks, and we guarantee that at least 12 of the 18 chicks will be females. Fifty Five Flowery Hens are possibly the best egg-layer of any homestead chicken breed. There is no better chicken to own if producing eggs for breakfast is your goal! 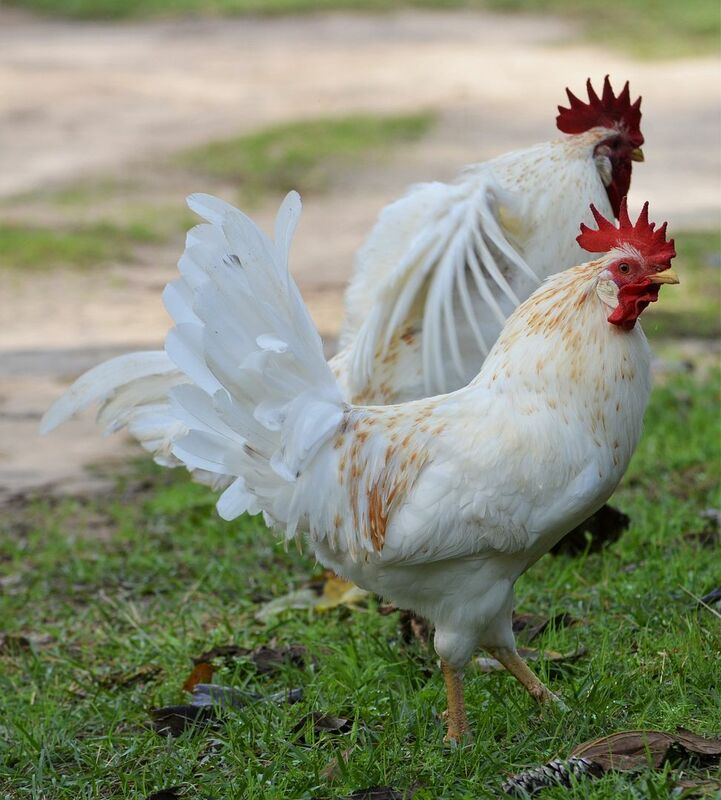 We have raised more than a hundred breeds and varieties of chickens on our farm, and none match the Fifty Five Flowery Hen for egg production. These medium-sized hens lay a vast amount of XL white eggs! How large? We have a hard time storing their eggs in standard egg trays because of their enormous size. And how many? The hens average well in excess of 250 eggs per year. Fifty Five Flowery Hens were created –spoiler alert!—in 1955 in Sweden by Father Martin Silverudd, also the creator of the Isbar. Fifty Fives were the first breed invented by Silverudd and over a half-century have proven to be one of his most successful creations. While the half-dozen or so of the Silverudd chicken breeds have largely slid into obscurity, Fifty Fives remain in a few commercial flocks in their native country. 55s deliver on the goals initially established by Silverudd: Create an auto-sexing chicken that produces eggs for the table in commercial quantities. 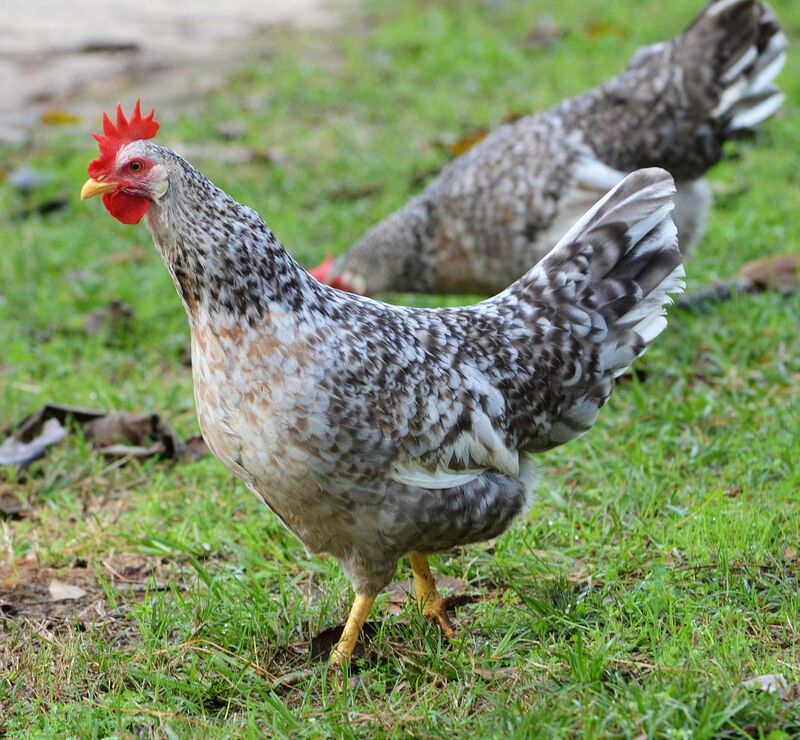 Using different varieties of leghorns Silverudd created a breed where the rooster looks very different than the hen from the day it hatches and throughout its life. Greenfire Farms was the first to import this breed into the United States. As a day-old chick the males are easy to distinguish by the blonde down on the backs of their heads, and as adults the males are largely white while the females are decorated with a beautiful spotted pattern; the ‘flowers’ that contribute to the breed name. The pictures on this auction represent the quality of the stock that Greenfire Farms is currently working with. The winning bidder will receive 18 or more day-old 55 Flowery Hen chicks of which at least 12 chicks will be females. They will be vaccinated for Marek's. They will be shipped within 3 weeks of the close of this auction. We guarantee live delivery and the health of the chicks for 72 hours after you receive them. The auction winner pays an additional $35 in shipping costs.